The Manchester Symphony Orchestra and Chorale will present a concert titled “Welcome Winter!” Saturday night. MANCHESTER — At Manchester Symphony Orchestra and Chorale’s next concert on Saturday, Dec. 6, the Manchester Chorale presents a musical debate: Winter — wicked or wonderful? New Englanders are just as divided on their attitudes toward winter as they are about sports or politics. Some see the icy cold as a trial to be endured; others as a time of stillness and beauty outdoors and the warmth of friendship and festivities within. No less a poet than William Shakespeare makes the case for those opposed to winter. His text, “Blow, Blow, thou winter wind” is heard in settings by three different composers. One, by Arthur Whiting, a Boston native, moves as briskly as a New England gale. John Rutter emphasizes the melancholy of a cold winter wind that “dost not bite so nigh as man’s ingratitude.” The music by Thomas Arne, a composer of popular songs such as “God Save the King,” is straightforward and tuneful, with very little of the dismay that the text would suggest. But winter also brings time for contemplation, as depicted by three songs that the chorale will perform with instrumental accompaniment: “The Snow,” with Monika Kinstler and Megan Kwolek, violins; “Winter Solstice,” with Jason Limansky, oboe; and “Winter Waketh all my Care,” with Stephanie Wheeler, flute, and also a tenor soloist, Steven Carpenter. 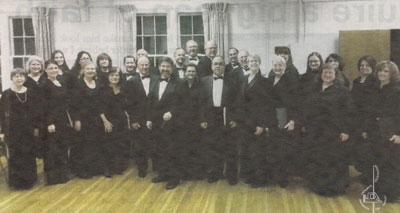 Manchester Chorale performs “Welcome Winter!” at 7:30 p.m. at Center Congregational Church, 11 Center St. Tickets are $18; $15 for seniors and students, and free for those younger than 18.